Laffly S35T, S45T, Incredible ebay manual purchase and ??? It just arrived, an original German Heer's Maunal (D 614/5) for the Laffly S35T, S35TL, S45T and S45TL. I took an icredible financial risk on this that it was an original and complete, and it is. How it survived I don't know. 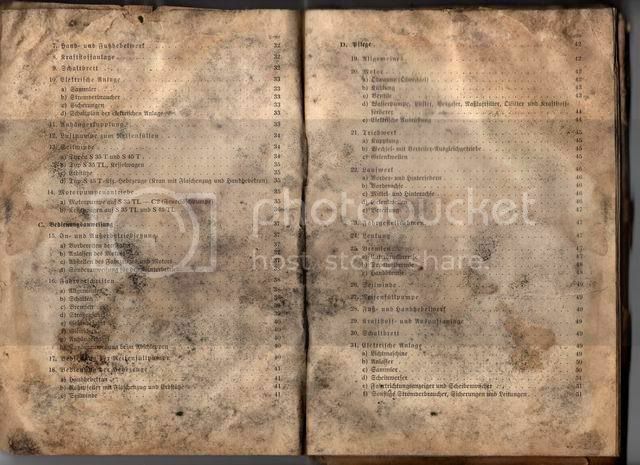 The manual has suffered from over 60 years of neglect, damp, dirt and abuse, but it is complete, readable and whats more all the drawings and schematics are fully usable. And they are brilliant in detail, the four different chassis tyrpe drawings, engine drawings, dashboard drawings etc, 61 pages of them in all with 60 pages of text preceeding (Gothic script which I can read). I have a number of rare manuals but this is about the best so far and the writer and draftsman seem to have gone into amazing detail (compared to other Hdv's) not just to describe the vehicals but also teach how to drive them. Perhaps it was because the vehicals were French and unfamiliar. I am currently scanning this one in at 600 dpi and my plan is to publish it with the drawings fully restored and the Gothic script normalised to standard Roman script. I have already talked to a printer friend about this so sometime in the near future I will be hopefully making fully printed (not photocopies as so many repro manuals I have bought) and stitch bound reproduction copies available for sale at a reasonable price covering the costs. But right now I am drooling (not on the book) and I can't tell the wife because she will kill me if she finds out how much I spent, but I just have to tell someone and you people are all as insane as me (in my wife's eyes). 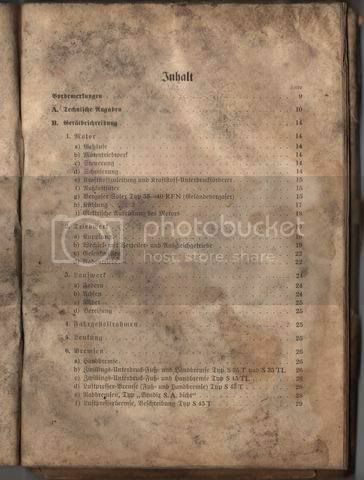 I am posting a number of low resoultion pics of the manual here (below) and you can see how close this one came to oblivion. 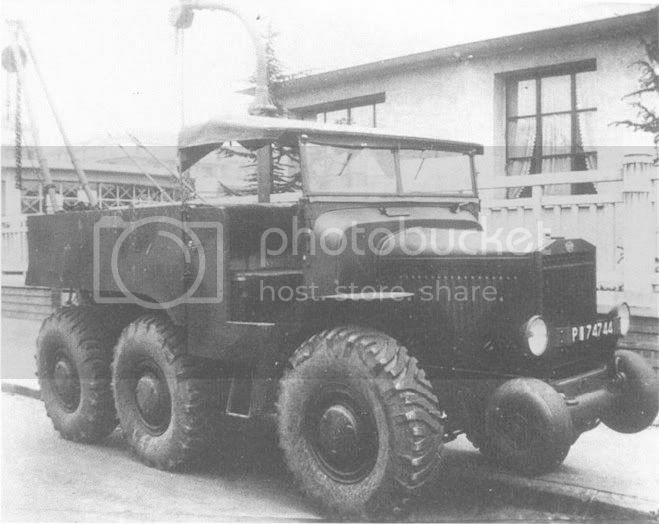 I am also posting 2 pics I have of the S35T and the S45T artillery tractors, but what I don't know is what the S35TL and S45TL looked like. The chasis drawings show the TL to be much longer than the T versions extending well out the back. 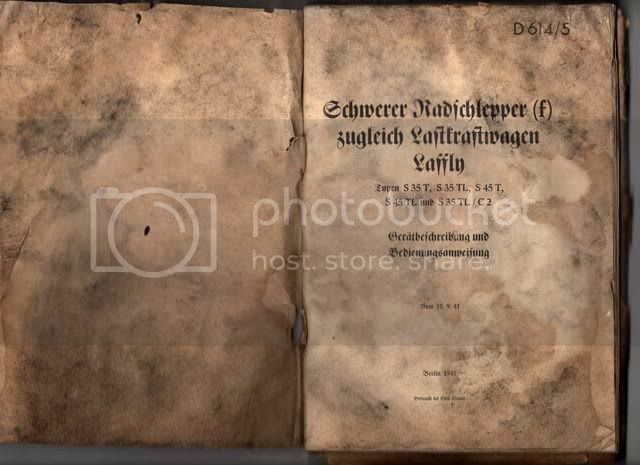 I have never seen pictures of them, are they German derivatives? Does anyone have any pictures of these vehicals? I would love to see what they looked like. Sorry for the long post but any help about the TL's would be greatly appreciated and only add to my excitement. This morning I looked more closely at the chassis drawings and manual and I can add the following information about the unknown TL versions. The Laffly S35TL is much longer than the S35T longer in the mid-section between the front and rear wheels and also longer at the back, extending out beyond the rear of the vehical for the distance of about the width of one wheel. The Laffly S45TL is also much longer than the S45T, both in the mid section and at the rear. 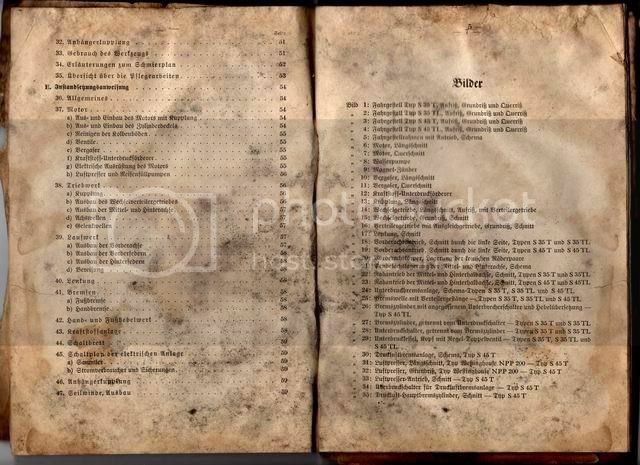 The manual text also supplies the following information about the various types functions. The manual also supplies the following dimensions in mm. For the various types. Unfortunatly the manual does not supply drawings of the “Aufbau” and confines itself to the various chassis types and engine front cab area to the height of the windscreen. Various French vehical sources I have seen do not have pictures of the TL versions and don’t seem to mention them. Thus it would appear that the TL versions are German variations after the invasion of France. The manual itself is dated 1941. If anyone has any idea of what these TL versions looked like please post. 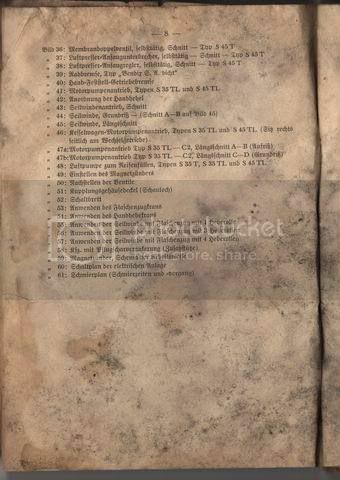 Edit: Kesselkraftwagen are Fuel Tankers and the "S35TL C2…Lkw. Mit Motorpumpe für Feuerlöschzwecke" is a vehical with a motor driven pump for putting out fires. Were these possibly used by the Luftwaffe at French airfields? In "L'automobile sous l'uniforme" by François Vauvillier there are mentions of the Laffly S35TL (C2) and S45TL and there is a drawing of the S45TL. Both are French air force models. 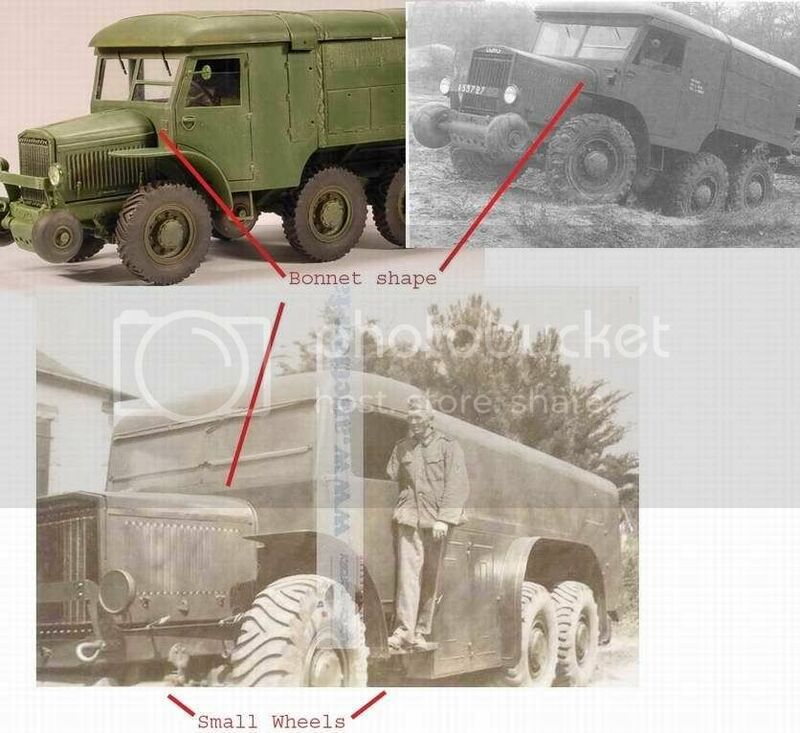 In the thread about ID of allied vehicles there was lately a tank truck that could IMHO be a Laffly S45TL. Found the thread and did some gamma adjustment on the pic, crop and resize and I agree with you, the vehical does seem to be right in size and general appearence to possibly be the S45TL.. I will repost the adjusted pic below, credits to IrregularMedic for the original pic. Thanks also for the "L'automobile sous l'uniforme" reference. I just went back to the manual diagrams. The manual shows the S35TL as retaining the small wheels (what do you call them?) on the front and in the middle with a longer chassis. I am confident the second photo (sepia one) is a S35TL. Blowing it up and playing with the gamma I can see what appear to be the tops of the small wheels in front and hidden underneath the middle. There are also great similarities in the shape of the bonnet beween them (different to the S45T). The model is a DES Kit Resin Model of the S35T. I have played with the gamma on the drawing and on the S45T pic and I think the drawing is either yet another version/variant of the S45TL or the actual S45TL of the German manual. It has lost the small wheels at the front. I also think the Aircraft tanker above might be the S45TL as it has no sign of the small wheels in the middle like the S35TL. Then again there is a little bump just where the small centre wheels should be. That might make it a S35TL. A bigger version of the original pic would help. So it appears you have managed to come up with pictures of the Elusive TL's. Now if we can only find the S35TL C2. Many thanks for your help and generosity with the pics. Re: Laffly S35T, S45T, Incredible ebay manual purchase and ?